From our vineyards located in Novaia di Marano di Valpolicella in the province of Verona. Hilly vineyards (400 meters above sea level) of Valpolicella Classica, mainly exposed to South/South-East, marl soil alternated with thin layers of clay, lime and, in some areas, tufa. 10 months in steel; 2 months in bottle. To drink generally rather young to appreciate fully the fragrance and integrity of fruit, although it retains its potentiality for few years. It is advisable to store bottles horizontally in a cool place with constant humidity and temperature. Medium ruby red. 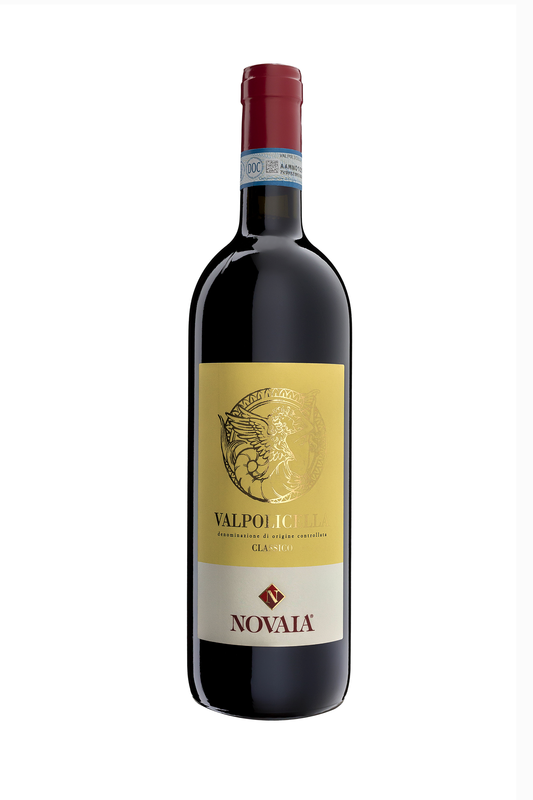 A lively wine when young, fragrant nose with delicate, flowery and slightly fruity perfumes (fresh cherry), together with hints of spices (cinnamon, nutmeg, pepper). Moderately alcoholic and tannic taste, good acidity, medium body, flavour some and fresh, a great wine.